We manufacture quality and durable range of Material Handling Equipment in India. In our range, we offer Roller Conveyor, Gravity Roller Conveyor, Automatic Motorized Conveyor and Chip Conveyor (Up Flow Filter Combination). These are offered in various technical specifications to meet the demands of our clients spread across the nation. 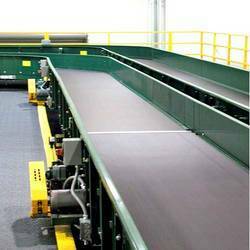 We offer precision-engineered range of Roller Conveyor that is designed for transferring of goods from one machine to other. 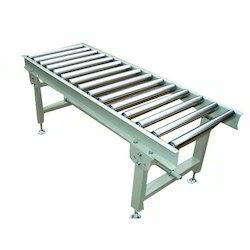 These roller conveyors meet the demands of automobile manufacturing units and are offered at competitive prices. We also have the facility to offer customized solutions. We provide highly functional range of Gravity Roller Conveyor that helps in reducing the manpower to transfer one machine to other. 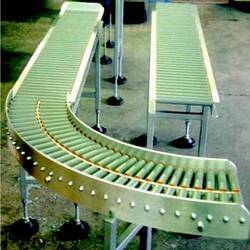 In these conveyors, the components are transferred by gravity with self-gradient of conveyors. These conveyors are generally used for transfer components like cylinder heads and cylinder blocks from one machine to another for machining cycles. We are offering Automatic Motorized Conveyor to our clients.